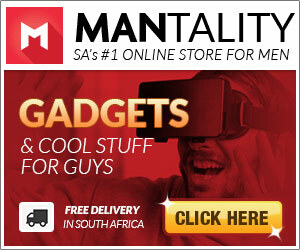 Mantality's online store features 1000s of the coolest gadgets and products aimed exclusively at men. They've been selling manly goodness since 2008 and completely live and breathe “men’s culture” and all the cool things that surround it. Shop with them maybe? They source and support local SA businesses as well as import products from all corners of the globe.